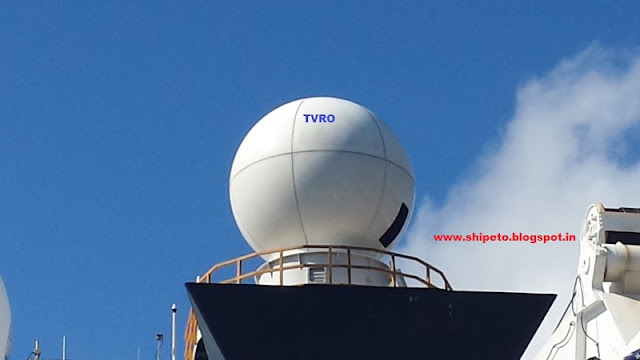 The term TVRO has been in use on ships since it was introduced in the 1980s. One early provider of equipment was SeaTel with its first generation of stabilized satellite antennas that was launched in 1985, the TV-at-Sea 8885 system. Until this time ships had not been able to receive television signals from satellites due to their rocking motion rendering reception impossible. The SeaTel antenna however was stabilized using electrically driven gyroscopes and thus made it possible to point to the satellite accurately enough, that is to within 2°, in order to receive a signal. The successful implementation of stabilised TVRO systems on ships immediately led to the development of maritime VSAT systems. The second generation of SeaTel TVRO systems came in 1994 and was the 2494 antenna, which got its gyro signal from the ship rather than its own gyros, improving accuracy and reducing maintenance. As of 2010, SeaTel continues to dominate the market for stabilized TVRO systems and has according to the Comsys group, a market share of 75%. Other established providers of stabilised satellite antennas are Intellian, KNS, Orbit, EPAK and KVH.